Addr PO Box 295, Wiscasset Maine 04578 USA. Desc Arranger/publisher of new 88-Note and 'reproducing' expression rolls [Ampico/Duo-Art], most being virtuoso arrangements for the Pianola medium. Payment Visa, Master Card, Check, Money-Order. Addr 516 Pierce Street, Sandusky OH 44870-4725 USA. Desc Ampico (Keystone Licensee) and Welte-Mignon reproducing music rolls as well as some 88-note. First-class recuts of music rolls of artistic, musical and historical importance. Desc Manufacturer of new ArMaN 88-note rolls, mostly European popular tunes. Also street organ. Addr F T Poole M.B.E., M.A., LL.B. (Cantab), The Limes, Landbeach, Cambridge CD4 4DR U.K.
Desc Rolls of all kinds. Note Mr. Pool is blind, and converses using audio email or phone. Receiving emails from him means having the capacity to receive a short .wav file containing his spoken message to you. Your email inquiries are spoken to him via computer speech. This works very well and have never had problems communicating with Mr. Poole. Vendor Custom Music Rolls, L.L.C. Desc Authorized QRS Piano Roll Internet Dealer. Over 3000 QRS Rolls in our On-Line Catalog. Easy, Secure Shopping, just Point and Click, we'll deliver it to your door. Vendor Gnaw-Vol-ty Rolls "Arrangements Untouched by Human Hands"
Desc Currently we are offering 4, 88 note rolls, but plan on A, G, O rolls in the near future. Desc O rolls, G, A, Wurlitzer APP, INLUX O, INLUX 88 note, Cremona M, Coinola Reproduco, the latter two being of very low stock. Desc Manufacturer of new avant-garde music rolls including compositions by Conlon Nancarrow and Wolfgang Heisig. Desc Johnny's Music Rolls sound better than others on your nickelodeon or orchestrion because they are exact copies of original rolls, made on a modern precision perforator. We can supply rolls for your "A", "G" or "O" machines. We have a large selection of original tities from the 'teens, 20's and 30's, as well as ragtime and later music on rolls arranged by the late John Farrell. Johnny's Music Rolls stocks John Farrell's rolls on his JAM label. These are new arrangements, not recuts, and include Jazz, Blues, Stride, Boogie, and more. Click on "JAM" rolls below to look at this great list of JAM titles. 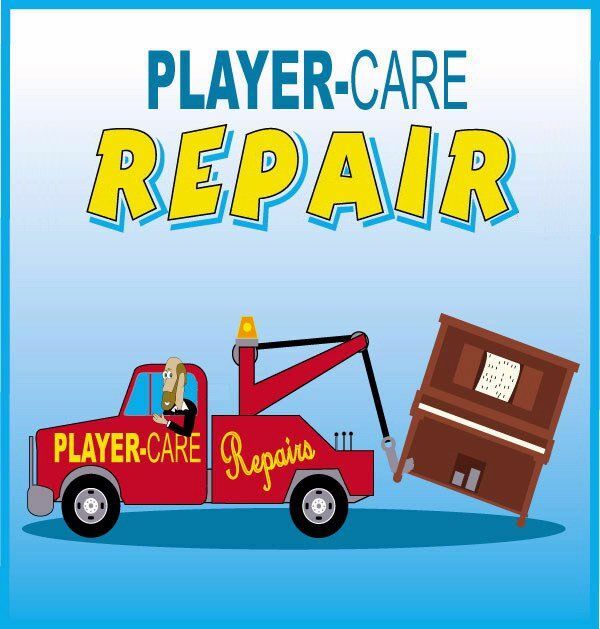 Desc Player-Care is dedicated to fulfilling the needs of every player piano owner. Payment Check, MO, Bank Draft, Visa, MasterCard, Discover. 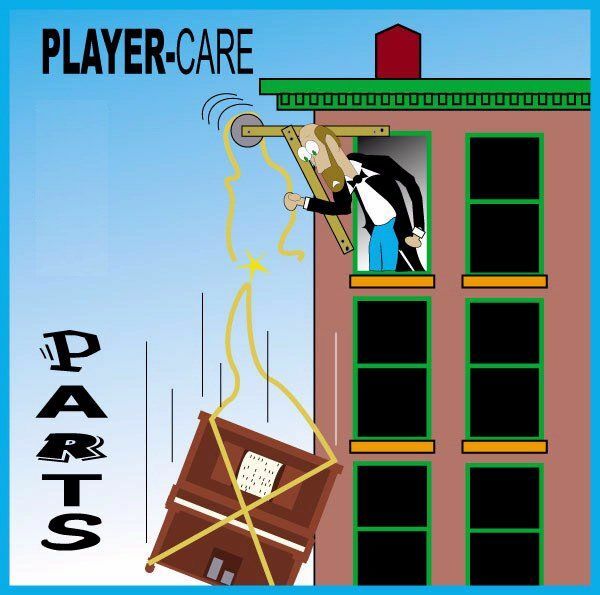 Desc Last remaining NEW stock of Laguna 'Playtime' piano rolls in Duo-Art and 88 note formats, also new books, recordings, original music for Organettes & disc musical boxes. Located Northants - UK. Will deal in any currency. Addr PO Box 650, Bethlehem PA 18016 USA. Desc Manufacturer of new Ampico (many directly from the original factory masters) and Duo-Art rolls on original Ampico equipment. Klavier 88 note rolls. Periodic lists with different selections from their substantial collection. Custom cutting available. Desc Unique classical 88-Note Rolls, hand-played arrangements of Brahms, Bach, Chopin, Mozart, Beethoven. Desc Leedy Brothers currently offers Ampico, Welte, and 88 Note recuts, and newly issued rolls. Desc Recuts of Red Welte rolls. Sporadic limited issues. Addr c/o Tim Baxter, 939 Briarcliff Road NE, Atlanta GA 30306-4664 USA. Desc Permanent catalog of new 88 note and Duo-Art rolls; Rotating catalog (catalog changes approximately annually) of Duo-Art, Ampico and Welte-Mignon Licensee recuts. Rolls perforated by Custom Music Rolls, Precision Music Rolls and Sierra Music Rolls. Desc Large selection of "A" and "G" rolls. Desc Recut rolls for Red Welte & Green Welte systems. Also will recut for Seybold, Losche, Poppers, Hupfeld, Helios, Hupfeld Phonoliszt, Violina. Desc Retail sales of new Mastertouch & Q.R.S. Music Rolls. Also, good second hand 88-note plus a limited number of reproducing rolls available. Desc TEST ROLLS - 65-Note (including Themodist) and an Aeolian Grand (Orchestrelle) test rolls for sale. Both are sold without spools. Desc Ampico, Duo-Art, Welte and 88-note ragtime, jazz and blues. Mail Auctions - call/write to be on 'the list'. Vendor Play-Rite Music Rolls, Inc.
Desc We are custom manufacturers of Music Rolls up to 16" wide any spacing. We carry style "O" orchestrian rolls in stock. Addr 1043 Eastside Road, El Cajon CA 92020 USA. Desc Manufacturer of punch-for-punch replica Ampico Rolls. Owns their own perforator. Payment Pay-Pal, Cash, Checks, Money-Orders in US$ only. Desc Huge Catalog of standard popular items, from ragtime to the latest hits. Obtainable directly or through dealers. Desc Offers recut A and G rolls cut by a supplier in Wisconsin. Have been in business for over forty years serving the collector of coin operated pianos. Desc Brand-new roll for testing the Welte-Mignon Licensee. That roll is still available in limited numbers at $25 plus $5 shipping. Quote If you want to include me in your list, please indicate that my operation is very limited. I can do custom coding of Ampico rolls on a limited basis. Payment Check in US dollars. Desc Custom roll arrangements for orchestrions and band organs. Can supply MIDI files or hand-drawn masters ready for punching. No rolls kept in stock. Desc Occasionally produces some recuts of unusual, avant-garde, classical, popular, blues and other types of 88 note and reproducing rolls. Visit website for current listing of rolls available and some that may be recut. Desc Selling recut and original Recordo, JAM and JazzMan rolls. Perforating services are available. Desc Reproducing piano rolls (currently only Duo-Art are available) on compact disk in MIDI and BAR/ANN formats for use on PowerRoll equipped pianos and MIDI driven solenoid and electronic pianos and sound modules. Tune list by mail or on-line. Addr 39 Sydner Road Stoke Newington, London N16 7UF U.K.
Desc Maker of new hand-played popular medley rolls, and arranged classical and popular titles. Recuts of selected classical rolls, including Aeolian's special series of titles composed for the Pianola. Addr 134 Islingword Road, Brighton, East Sussex BN2 2SH U.K.
Desc We buy/sell instruments and rolls. Desc Sells recuts and original rolls. A limited supply of used rolls is also available. Addr 18 Cinque Ports Street, Rye, East Sussex TN31 7AD U.K.
Desc Maker of new rolls ranging from classical to jazz, on Universal accurate copies of UK 1909-1955 Universal/ Metrostyle/Themodist etc plus some new titles); and Perforetur labels. Licensed recuts from original masters of some QRS titles. Recut Duo-Art, including some never issued by Aeolian. Uses original Aeolian roll perforating equipment. Large secondhand stock in shop.